The uninspiring MQA demo we heard in the Brinkmann Audio room overshadowed the introduction of Brinkmann’s new DAC, which was far more interesting. The Nyquist DAC, which will retail for about €12,000 when it's released later this year, has a modular digital section that can be exchanged and upgraded by removing two screws. With 32/384 PCM, at least double-rate (5.6MHz) DSD, and an Ethernet port for Roon compatibility, it probably won’t need an upgrade soon. The Nyquist has a tube output stage, variable gain, and a remote control, so it can be plugged straight into an amp. The Ypsilon Hyperion hybrid mono amplifier will produce 400W into 8 ohms, the first 100W in pure class A. The 2-ohm rating of the Hyperion is "around 1kW," according to the company, aligning with its imposing appearance. The Hyperion has an input stage based on the 5687 tube and a MOSFET output stage. The Hyperion weighs about 90kg, so be prepared to have at least two people to move them into place! The price is €65,000/pr. EMM Labs demonstrated the MTRX2 mono power amplifier at High End 2016, a 180-pound beast capable of producing 800W into 4 ohms in class A/B. A slightly scaled-down version of the company's flagship MTRX amplifier, the solid-state MTRX2 is said to offer very low distortion and high bandwidth. Though scaled down from the MTRX, its parts quality is just as high, which includes the use of ceramic circuit boards. Optional finishes are available if silver is not your thing. The price is €65,000/pr. Grimm Audio has a new version of its powered monitor loudspeaker, dubbed the LS1be. The system shown at High End (€36,000/pr.) included the LS1r controller and a pair of LS1s-dmf subwoofers. As you might have guessed from the name, the new LS1be has a beryllium tweeter, versus the aluminum-magnesium dome in the LS1. The electronics component quality of this powered speaker system has improved over the predecessor as well. Amphion displayed the latest version of its famous Argon loudspeaker. The Argon3S is again a two-way design featuring a 1" titanium tweeter and a 6.5" aluminum woofer, but it adds a rear-mounted passive radiator, whereas previous Argon versions had ports. Bass extension is rated to 30Hz (-6dB). The price for the Argon3S is €2150/pr. If you want a larger Amphion, go for the Krypton3, a three-way vented design that comes equipped with two 8" midranges and a 10" side-mounted woofer, along with its 1" titanium tweeter. The price is €15,000/pr. The big news from Audio Research at High End 2016 was the announcement of a brand new series of products, dubbed Foundation Series. Three components were shown: the LS28 line stage preamplifier (bottom), the PH9 phono stage (middle), and the DAC9 digital-to-analog converter (top). 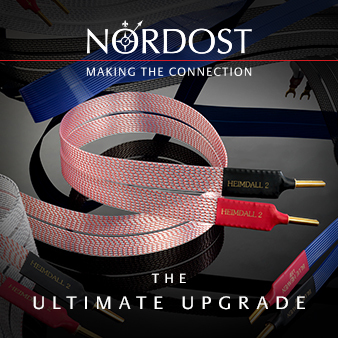 We were told that a new amplifier will follow, along with other products that will complete the series. Shipping will begin in early summer with the LS28 being first. 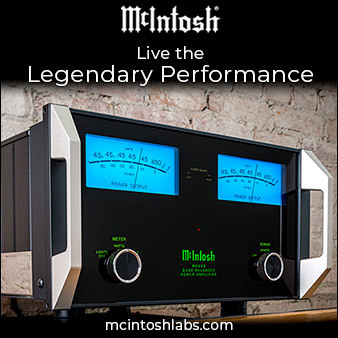 Pricing is easy to remember: the LS28, PH9, and DAC9 sell for $7500 apiece. Sonus Faber's new loudspeaker line is the Principia. These have a form factor similar to the company's Chameleon line. The smallest bookshelf model is the Principia 1 ($549/pr. ), but the line fills out with the Principia C center-channel ($349); the larger Principia 3 bookshelf ($699/pr. ), which is the model that Fiore Cappelletto, the company's marketing director, is seen holding; the medium-sized Principia 5 floorstander ($1199/pr. ); and the Principia 7 ($1499/pr. ), the largest speaker in the line. The Principia series is meant to introduce the Sonus Faber brand to a new customer base. At first glance, BMC’s ceramic-cabinet Arcadia speaker looks unchanged from the version launched a few years ago. However, almost everything about it has changed. The revised version uses a new ceramic formulation chosen to reduce conduction of high-frequency and midrange energy through the enclosure. The high-frequency transducer is a new AMT unit built in-house by BMC; the woofers and midrange drivers have also been slightly modified. The result is said to be smoother mids and treble, for the same €32,000/pr. price. BMC’s €4998 BDCD2 stood out at a show that was otherwise nearly bereft of new CD players. It features a belt-driven spindle, with a heavy, silicon-coated acrylic platter that serves as a CD clamp and as a flywheel. 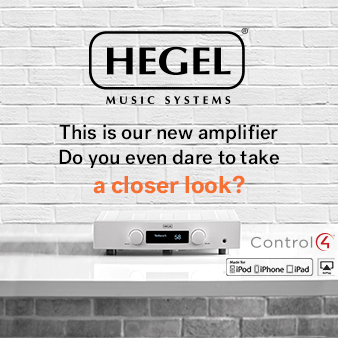 The all-new DAC section is said to borrow much of its design from the company’s standalone DACs. Dynaudio, of Denmark, had big news at High End 2016 -- the company has contoured the Contour line! The three models in the Contour line are the 20 (left, €4500/pr. ), the 30 (middle, €7000/pr. ), and the 60 (right, €9000/pr.). Walnut and White Oak are the standard finishes; optional finishes are Gloss White, Gloss Black, and Bubinga. Not shown is the 25C center-channel (€3250), which, for now at least, fleshes out the line. All models have a number of standard features: aluminum front baffles, chamfered cabinets, and driver baskets. The new woofer and midrange drivers are said to have variable-thickness MSP cones, for improved performance over the previous line. Dynaudio Pro, which operates separately from the Dynaudio consumer-based division, showed the Lyd series of powered speakers, of which there are three models. Shown in the photos is the Lyd 7, which has a 7" woofer and a 28mm tweeter powered by . . .
. . . two internal, DSP-enabled power amplifiers rated at 50W each. The price will be €1400/pr. when the Lyd 7 begins shipping this summer. The Ayre Acoustics QX-520 Digital Hub ($8950) is a streamer-DAC that has . . .
. . . ten digital inputs (two AES/EBU, one Ethernet, one asynchronous USB, three BNC S/PDIF, and three optical). The QX-520 also offers Wi-Fi connectivity via an optional external antenna. Internally, the QX-520 is equipped with an ESS Technology ES9038Pro DAC chip and built-in volume control. Ayre is the first company to make use of this new ESS Technology chip. Of course, the QX-520 sports Ayre's Diamond output stage and what the company says is a "world class" headphone amplifier. Streaming services supported are Roon, Tidal, Deezer, and Spotify Connect. Availability is slated for mid-June. Beneath the sleek aluminum exterior of WestminsterLab’s €32,000/pr. UNUM monoblock lies . . .
. . . some serious old-world craftsmanship. The UNUM’s circuits are all hand-soldered and point-to-point wired on perforated PEEK (polyether ether ketone) circuit boards, which eliminates half the solder joints compared with a printed circuit board. The aluminum chassis serves as the heatsink for the output stage, with a second aluminum sink underneath dedicated to the voltage gain stage. The power supply transformer and capacitors are suspended on carbon-fiber straps. The class-AB design is said to put out 95W into 8 ohms. Audio Solutions' new Overture line includes five models: the 0201C center-channel (€730); the 0202B two-way bookshelf (€880/pr. ); the 0203F two-way compact floorstander (€2070/pr. ); a larger 0204F three-way floorstander (€2570/pr. ); and the 2.5-way 0205F (€3070/pr. ), which is the largest speaker in the line. The cool thing about the Overture speakers is that these models are offered in 13 different finish options, including four high-gloss colors and three matte-wood finishes as standard. There are other high-gloss painted and wood finishes available as options, a feature not often seen at these affordable prices. The Overtures also come with . . .
. . . a detachable front baffle that can be replaced with another baffle that has a grille cloth attached. The Dynaco ST-70x Series III stereo tube power amplifier is an updated version of the model that was launched decades ago. This updated unit outputs 35Wpc at either 8 or 4 ohms. The rectifier tube has been eliminated in favor of a solid-state device in order to address the noise issue of the original model. The company states that it has achieved the sound that Dynaco founder David Hafler envisioned for the product, but with a lower noise floor. The target price will be $2500 when it becomes available at the end of 2016.